A winter storm with serious below-freezing temps is slated to move into the DMV on Tuesday. The National Weather Service for Baltimore and Washington, D.C., has issued a winter weather advisory for noon to 10 p.m. ET on Tuesday, Jan. 29, 2019. The winter storm is expected to produce anywhere from a trace to three inches of snow in areas of Maryland, D.C., and Northern Virginia. Snowfall and freezing rain could complicate the evening commute with slippery roads and bad visibility. Drivers should expect rain to begin around 9 a.m. and continue throughout the day. Around 3 p.m., rain will turn to snow, creating slush and icy spots. The snow should taper off at about 6 p.m., and temperatures will dip into the 20s, creating icy roads overnight. The bad weather could cause schools to cancel extra-curricular activities and dismiss students early ahead of the storm on Tuesday afternoon. Washington, D.C., and Northern Virginia should expect one to two inches of snow. Higher snow totals are expected north of the beltway into Baltimore and Northwest Maryland. A hazardous weather outlook has also been issued for parts of West Virginia, Northern and Central Virginia, and Central and Western Maryland. This advisory includes below-zero wind chills Tuesday through Friday, a wind advisory on Wednesday, and another possible winter storm on the Allegheny Front for Friday, Feb.1. 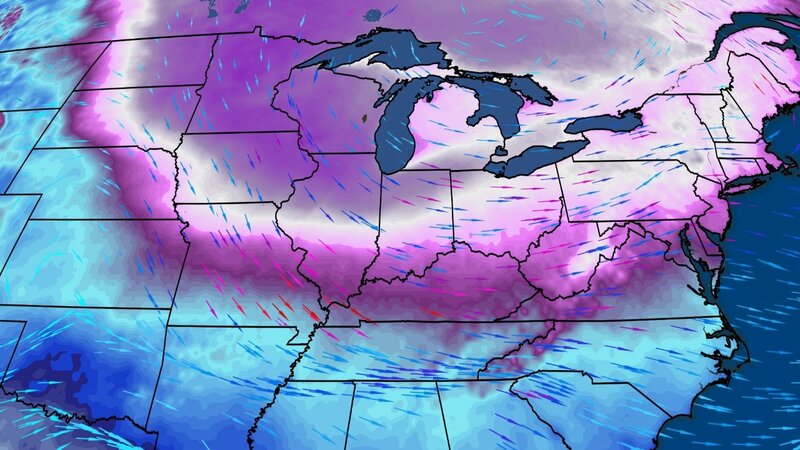 This storm is part of the polar vortex that brought snow and extremely cold temperatures to the Midwest. On Sunday, the temperature was 45 below zero in International Falls, Minnesota, breaking the record of 36 below set in 1966. Temperatures in the Baltimore/Washington region are expected to move into the 30s on Saturday, then move into the 50s early next week. Sound off on school closings! Do you think school will close early, or will kids get a snow day? Tell us in the comments below! Sounds like perfect weather for a Netflix binge! Find out which shows and movies are leaving Netflix in February!